Head with your rafts and brave the raging rapids… feel your adrenaline gush. Earlier a spiritual destination, now more of an adventure harbor, Rishikesh is a sought after destination in India for river bed camping & white water rafting. The thrill seekers worldwide have marked this scenic valley on global map. Rafting in Rishikesh is done alongside the waterway of the mighty river Ganges at locations such as Shivpuri, Brahmpuri, Marine Drive and Kodiyala. The challenges in rafting are divided into different rapids and promises a thrilling experience. The rafting season in Rishikesh is generally from March to May and from September to November, considering the weather conditions and flow of river. The other attraction in this zone is camping. Riverside camping, jungle camping, luxurious camping etc., are very popular amongst Indian and international tourists. Adventure lovers have been coming here every year for those exclusive camping experience that takes them close to nature. There are many campsites nearing in Rishikesh. The most loved thing about this leisure is that it is not season specific. These camps are well maintained assuring all basic and certain luxury facilities. The camp organizers have facilities to keep guests engaged with different activities such as adventure sports like bungee jumping, cliff jumping, kayaking and river rafting; leisure activities such as beach volley & indoor games, bonfire, music etc. The rafting and camping holiday packages by Max Holidays are well planned and executed in association with adventure sport experts. The package in discussion is a 7 days rafting & camping tour that will take you through Delhi, Agra, Rishikesh, Shivpuri, and Haridwar and nearby places. After a traditional Indian welcome by Max Holidays company representative at the airport, you will be escorted to hotel for overnight stay. After breakfast, proceed for the combined sightseeing trip of Old and New Delhi. Delhi is the metropolis city which is one of the fastest growing cities in India and serving as the capital city. The city is known for its wide spread boulevards and greenery. Old Delhi includes visit to Jama Masjid (one of the largest mosque of India), Red fort and Raj Ghat (The cremation ground of Mahatma Gandhi). 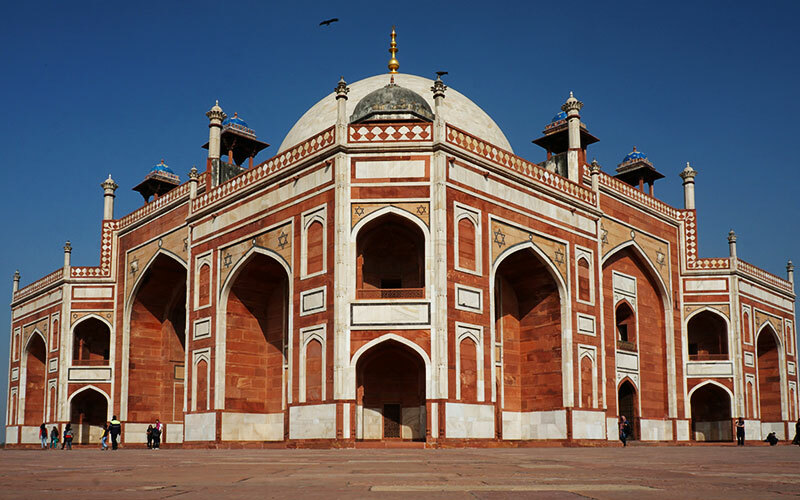 New Delhi holds attractions like Qutab Minar, Humayun's tomb, President’s Palace and India Gate etc. Overnight stay is at Delhi. Early morning with packed breakfast, we will drive to Agra, along one of the India’s finest freeways. 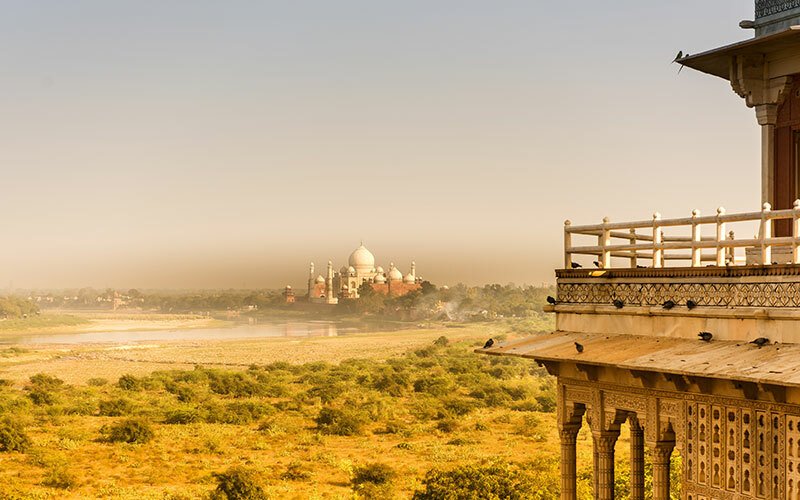 Upon arrival in Agra, we will visit Taj Mahal, the monument which speaks itself its beauty. The massive structure resound the love of the king Shah Jehan for his beloved wife Mumtaj. The symmetrical structure is really a praiseworthy for the hands which took almost 22 years to build this impressive building. Next monument will be Agra Fort. The majestic walls of Agra Fort reminds of the glorious times which Mughal dynasty enjoyed in India. There are numerous structures inside the fort which are not to be missed. 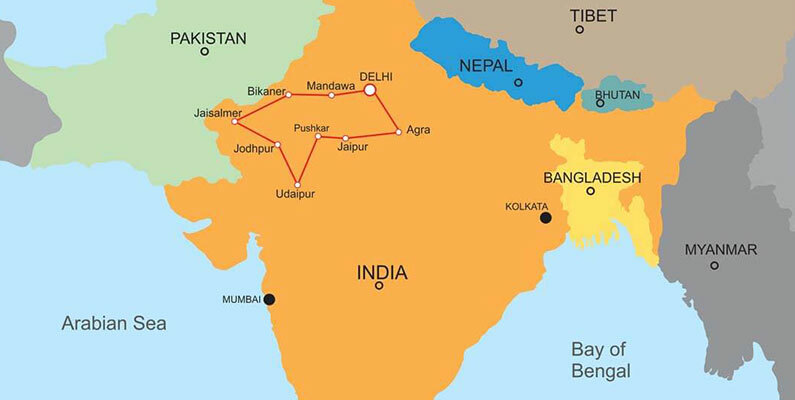 After lunch, we will drive to Delhi Enroute visiting Fatehpur Sikri also referred as the “ghost town” the city which has the ruins of the buildings of the reign of Mughal Emperor Akbar. He made this city as his capital just to honour the Sufi Saint Salim Chisti by whose blessings he was gifted with son who later became the great emperor by name Jehangir. Fatehpur Sikri is a romance in red sandstone. Some of the interesting buildings to be visited are Jodha Bai’s Palace, Diwan e Am, Diwan e Khas, Panch Mahal. Later continue our drive to Delhi and drop you to hotel. Remark: one can also visit Delhi Agra Delhi return trip by super fast air conditioned chair car train. After breakfast at the hotel, we will drive to Rishikesh. Rishikesh is guarded by the hills from three sides and the pious Ganga flows to add its beauty. 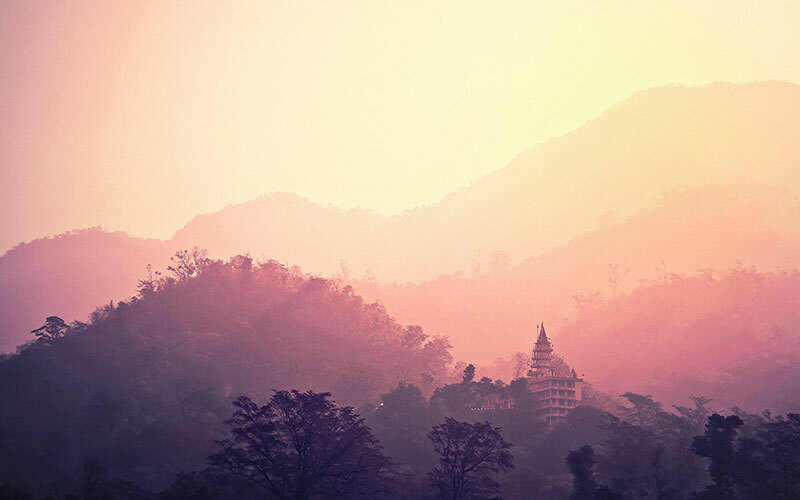 Rishikesh is the perfect choice for the yoga and meditation seekers as it has some of the best Yoga and Meditation centre. It acts as a base to start the tour to the upper altitude like Badrinath, Kedarnath, Gangotri and Yamunotri. 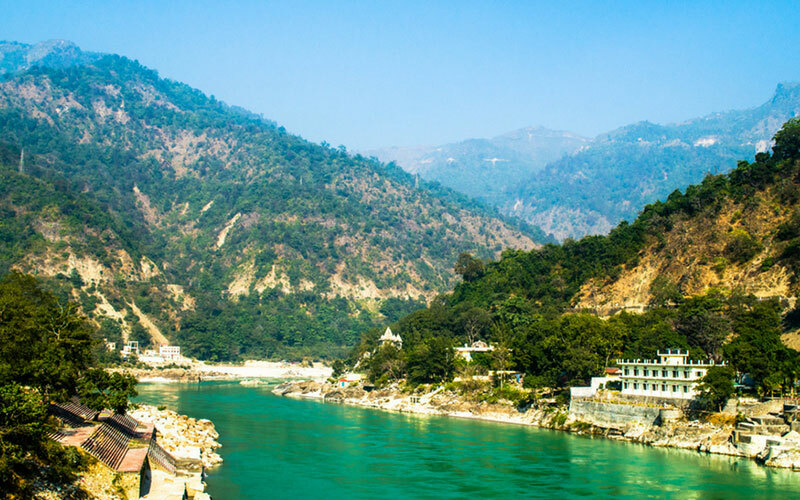 On arrival in Rishikesh, check in your camp by the Ganges. Evening enjoy the bonfire followed by dinner. After having your morning breakfast in the tent, you will be taken to Shivpuri for the III grade river rafting. The total duration of this rafting will be nearly 3 hours. You will encounter some of the thrilling rapids on the Ganges. Slowly you will sail to Rishikesh from where you will be driven to your camp. At camp you can take certain activities like tug of war, can play volleyball, river crossing etc. In the evening enjoy the dinner with bon fire by the riverside. Overnight stay at camp. Today after relaxed morning breakfast you will be taken for sightseeing of Haridwar and Rishikesh. Visit eight stories Bharat Mata Temple, Shanti Kunj world renowned for Yoga and natural cures. Also visit Mansa Devi temple through ropeway. Take a temple tour of Rishikesh, visit Swarg Aashram, Geeta Aashram and just near to the Ramjhoola Bridge is Parmarth Niketan.In the evening see the Ganga prayer. Dinner and overnight stay at camp. Today morning check out from the camp after the breakfast and drive directly to New Delhi International airport to board your flight back to home.